Monogram is having a moment and I am loving it. There’s something both strangely nostalgic and fancy about having your clothes labelled, and let’s be honest, it also means your sister/bestie/room mate is way less likely to try and steal your stuff! So let’s forget about wearing our heart on our sleeves and instead we’ll wear our initials there. 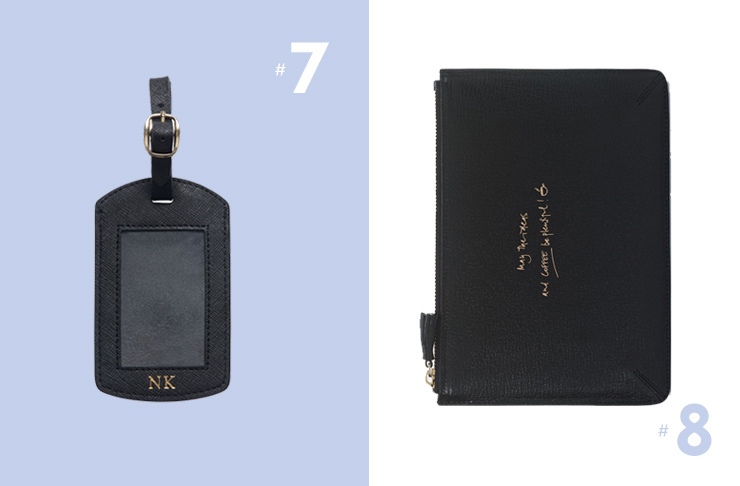 Here are 8 fashion must-haves you can monogram. Stubbs and Wooton have some killer shoes, but it’s the monogrammed velvet slippers that have won us over! Choose your base colour, the trim and monogram and you’re set. These babies are a great conversation starter. 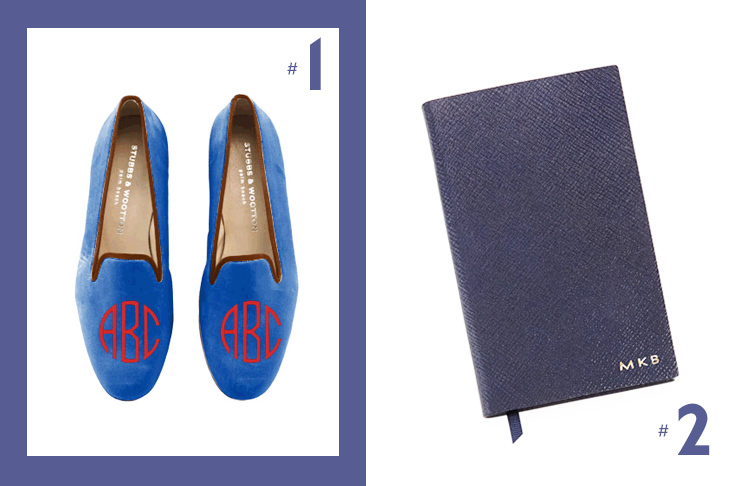 There’s nothing more pro-fesh than a personalised notebook or diary from Smythson. Choose a colour, your letters, the position you want them in and a font. It doesn’t get much more personal than that! 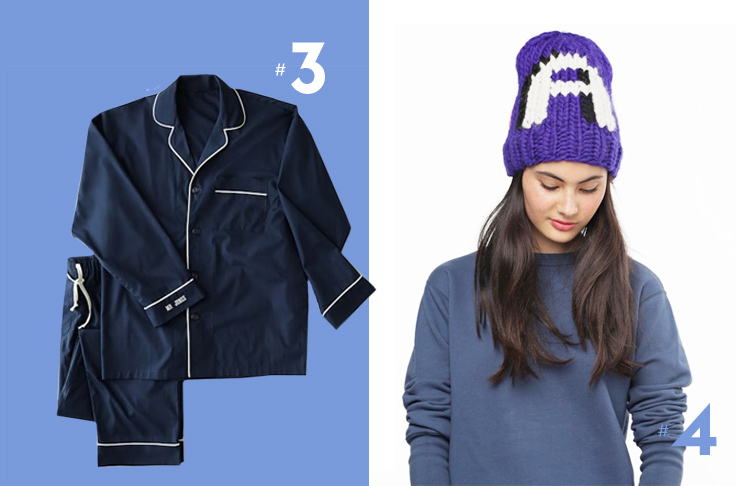 The ultimate luxury, monogrammed pyjamas will make you feel like a million bucks. Poplin make some of the best loungewear and sleepwear going around, and you can personalise any of them with your initials, wherever you choose. If you want to save some dollars, you can knit this yourself, but for the time poor (read: lazy) or less skilled knitters among us, why not get Wool And The Gang to pop your initial on a beanie for you. Carrie Bradshaw may have made the personalised necklace cool wayyyy back in 2000 (yikes!) but the initial necklace is where it’s at in 2016. We love this asymmetrical number from Maya Brenner which you can get in 14k yellow, rose or white gold. If you’ve got really great initials, why not splurge and get a second letter added on. Once upon a time I said I would never get a black suitcase that looks just like everyone else’s. Then I went to buy a suitcase and realised all the nice ones (which are actually practical) are black. Solution: Personalised luggage tag. While you’re there, why not get a personalised travel wallet or passport holder so all of your personalised travel needs are sorted. These guys also do clutches, bags, phone and tablet covers and pretty much everything you could ever want monogrammed. Go forth. This loose pocket is big enough to hold your phone and other essentials along with your moolah and cards, so it’s the perfect thing to take out when you don’t want to carry much around. You could also chuck it in your bag, but it would be a shame not to show of that monogrammed goodness. 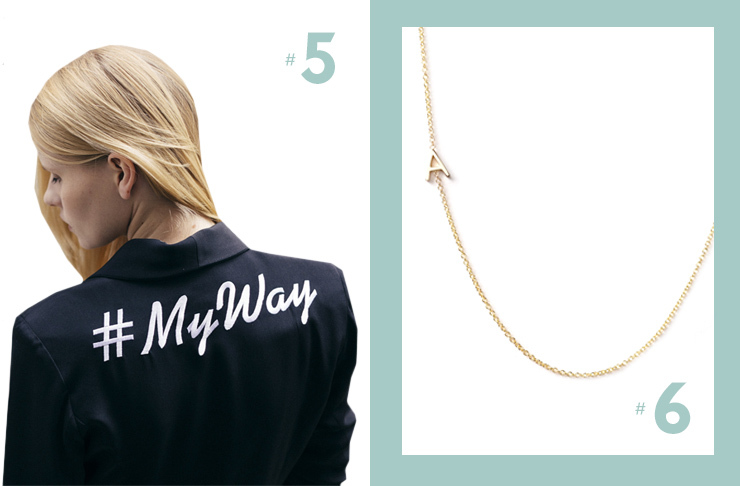 Want more fashion must-haves? Check out the Top Trends From Sydney Fashion Week.